Loveable James Holmes and his disastrous hairstyles have been on the stand-up circuit since 1997. James boasts an energetic, yet confessional brand of comedy, that mingles 'therapy speak' and 'pop culture references' in a highly original style. James is now omnipresent in the world of comedy and regularly performs at clubs such as Screamers, The Comedy Cafe', and The Improv. 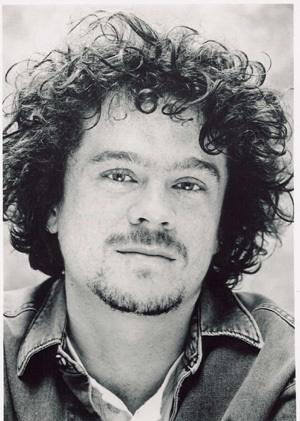 James appeared at the Edinburgh Festival in 1993 and 1994 in the one man comedy show 'Anorak of Fire: The Life and Times of Gus Gascoigne the Trainspotter', which was a runaway sellout success and led to a five month West End run and a National Tour. His 'Superb comic timing' has been praised in The Sunday Times and Time Out must have been foaming at the mouth when they awarded him the coveted adjective of "Enjoyable ". August 1998 saw James back at The Edinburgh Festival writing and performing his own stand-up comedy show 'Holmes Alone' at The Assembly Rooms.